positioned on the edge of church street’s brightons exclusive lifestyle precinct, concerto brighton is bayside luxury in a premier new address. this exclusive collection of only 5 unique and luxurious designer apartments designed by artisan architects and interiors by kestie lane studio delivers a life of privilege defined by european sophistication, relaxed elegance and flawless finishes. each home at concerto brighton balances contemporary sensibility and style. the residences here offer a level of sophistication, spaciousness and contemporary design rarely found in such an exclusive and convenient location. created for an established marketing agency we were commissioned to design and refine a premium property project located in the heart of malvern road. ambitious and bold, prominence is set to take centre stage in Doncaster East as the area’s most prestigious address. This stunning new development will embrace and enhance its unique setting, delivering unrivalled levels of elegance and sophistication to even the most discerning purchaser. amber’s golden hues have been treasured since ancient times. Legend has it that this mysterious gemstone brings stability to life, stimulating the intellect and encouraging a sunny, spontaneous disposition. suitably named amber bentleigh is a limited collection of luxurious and inviting residences. positioned just moments away from shopping, services and transport, in a quiet residential street, these sophisticated apartments offer every advantage. although a brief of only several renders . . . the most challenging projects generally are the multi-story multi-level apartment towers . . . and this project was certainly no exception. challenged with ensuring the areas we model look as warm and inviting as when you 'the buyer' walks through them . . . we worked hard on this project by treating the scene's with an abundance of natural daylight and contemporary furniture. for a very long 2 months now the Atomic 3D team have been working hard on perfecting a series of stunning multi-residential renders for the eve brisbane project. caramel creative and uem sunrise contracted the atomic 3d team to produce an extraordinary series of eight stunning slow motion aerial shots. with aerial drone footage as our backplates the results we achieved by our clients standards are nothing short of remarkable. captain and co . . . high street hits barkly street ! The Altus has set a new standard of Melbourne living. Refined, noble and luxurious, this soaring tower at Docklands’ best address comprises 299 prestigious apartments, lap pool, business lounge, restaurant, bar and café, a stunning rooftop sky deckand a world-class hotel. Architecturally designed with elegant European influences, clean lines and unparalleled panoramic views, this landmark building provides an aspirational new way of life. Delivering the best of modern living Designed by multi-award winning Moull Murray Architects, The Altus embodies quality, innovative and intelligent design. Its strategic location on an island site delivers 360 degree floor to ceiling views of Melbourne’s city centre, first-class marinas and the Victoria Harbour. A sheer glass façade wraps around the 36 storeys, offering precision, timelessness and luxury, that all point to the finest internalworldclass style and design.Finished off with a stunning sculptural exterior wall, by world-renowned artiststhat greets you . Welcome to The Altus . . .
Light House is apartment living redefined. Atomic 3D was commissioned to bring Elenberg Fraser's unique vision to life through our highly creative and world class cinematic film making team. We were challenged to create a tower building 'vortex' sequence and achieved an extraordinary result as seen at the beginning of the film. Discover the urban sanctuary within Light House’s indoor and outdoor gymnasium, private dining and entertaining rooms complete with kitchen facilities, 25 metre indoor lap pool extending out to a rooftop oasis where residents can relax in the outdoor heated spa and watch the clouds drift past from the array of day beds on the pool terrace. 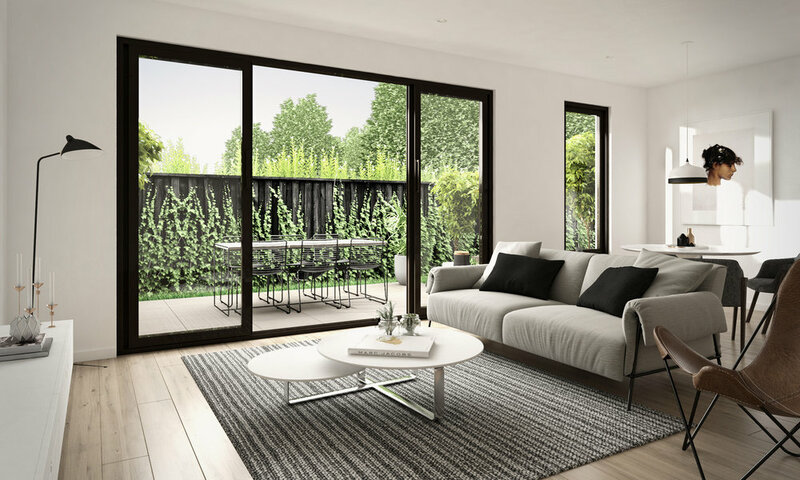 Located just 1km from Melbourne's CBD and perfectly positioned in the heart of Collingwood, Oxley is a new boutique neighbourhood. 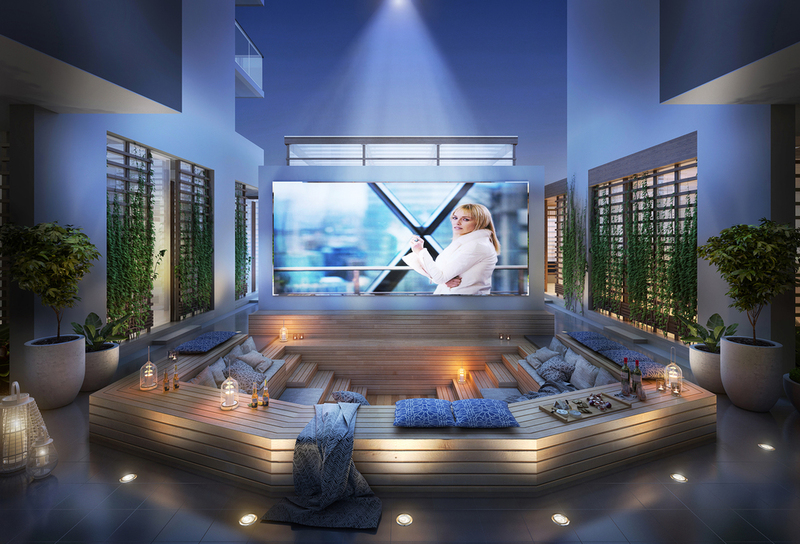 Designed by renowned architects Elenberg Fraser, Oxley comprises four individually designed apartment buildings, enveloping two urban laneways with its very own premium retail amenities including a cafe, rooftop pool and sky garden terrace. We were comissioned to produce a high end, short film to capture the heart and soul of Urban Inc's unique development. Using a mix of greenscreen and motion graphics we went above and beyond the original brief to create the clean crisp information sections, and using our world class helicopter filming experience, shot Melbourne and Collingwood in breathtaking beauty. Our stunning cinemtic 3D animations and Cornwell's marketing edge . . . produced results have wowed international and local buyers.